Our guide to Miami will help you find the best free wifi hotspots in Miami Florida. Miami has a true tropical climate, with hot & humid summers and warm & mostly dry winters. Miami was ranked as "America's Cleanest City" according to Forbes Magazine for its year-round good air quality, vast green spaces, clean drinking water, clean streets and city-wide recycling programs. Sultry, seductive Miami, Florida entertains many identities: snowbird refuge, retiree haven, celebrity playground, immigrant stop-off and tourist mecca. All undeniably accurate, they're telling descriptors of everything this dazzling city embraces. They're also indicative of the melting-pot culture that has come to define South Florida, an area originally dismissed by developers. Food and music, in fact, showcase Miami's zest for all things sensual. Cool jazz, spirited salsa rhythms, and a cuisine that unites fresh seafood, tropical fruits and tongue-tingling flavors provide evidence of a people and a city mesmerized by – and dedicated to – the spices of life. Experience its many incarnations in the most sizzling Miami neighborhoods: Little Havana, SoBe or the Design District. Each one boasts top-notch clubs and superlative restaurants, energized by a style-conscious clientele, so you will never run out of things to do in Miami. There are tons of great free wifi hotspots in the city of Miami, our city guide will help you find the best free wifi hotspots. You may have a hard time deciding what to do in Miami, but we make your decision easy. 1109 Brickell Ave, (305) 329-3500 - JW Marriott Hotel Miami is a free wifi hotel / motel / resort located in Miami FL. 1111 S Royal Poinciana Blvd, (877) 863-4780 - Holiday Inn Miami is a free wifi hotel / motel / resort located in Miami FL. 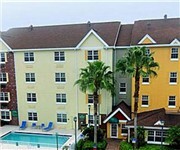 11275 NW 12th St, (305) 994-9343 - Courtyard Marriott Dolphin Mall is a free wifi hotel / motel / resort located in Miami FL. 11580 NW 105th Way, (305) 500-9600 - Courtyard by Marriott Miami West / FL Turnpike is a free wifi hotel / motel / resort located in Miami FL. 1200 Collins Ave, (305) 604-3595 - The Marlin Hotel & Bar is a free wifi hotel / motel / resort located in Miami FL. 1212 NW 82nd Ave, (305) 591-2211 - Residence Inn Miami Airport West/Doral Area is a free wifi hotel / motel / resort located in Miami FL. 1220 Ocean Dr, (305) 604-5000 - The Tides Hotel is a free wifi hotel / motel / resort located in Miami FL. 1395 Brickell Ave, (305) 503-6500 - Decidedly modern, boldly conceived, and beautifully designed, this luxury hotel creates a unique sensory experience for its guests. 1601 Collins Ave, (305) 989-1114 - Loews Miami Beach Hotel is a free wifi hotel / motel / resort located in Miami FL. 161 Ocean Dr, (305) 536-7700 - South Beach Marriott is a free wifi hotel / motel / resort located in Miami FL. 1633 N Bayshore Dr, (305) 374-3900 - Miami Marriott Biscayne Bay is a free wifi hotel / motel / resort located in Miami FL. 1685 Collins Ave, (305) 672-2000 - Delano Hotel is a free wifi hotel / motel / resort located in Miami FL. 1901 Collins Ave, (305) 695-3100 - The Shore Club is a free wifi hotel / motel / resort located in Miami FL. 235 Washington Ave, (305) 672-2137 - The South Beach Hostel is a free wifi hotel / motel / resort located in Miami FL. 2800 SW 28th Ter, (305) 448-2800 - Hampton Inn Coconut Grove is a free wifi hotel / motel / resort located in Miami FL. 3265 NW 87th Ave, (888) 897-0084 - Staybridge Suites Miami Doral Area is a free wifi hotel / motel / resort located in Miami FL. 340 Biscayne Blvd, (877) 863-4780 - Holiday Inn Port of Miami is a free wifi hotel / motel / resort located in Miami FL. 10834 SW 104th St, (305) 412-8304 - The 10834 SW 104th Street Starbucks offers free WiFi in addition to coffee, espresso and other hot and cold drinks. 110 SE 3rd Ave, (305) 755-9278 - The SE 3rd Ave & 1st Street Starbucks offers drip brewed coffee, espresso and other drinks and snacks and is also a free WiFi hotspot. 11401 NW 12th St, (305) 477-2190 - The Dolphin Mall Starbucks offers free WiFi in addition to coffee, espresso and other hot and cold drinks. 11515 S Dixie Hwy, (786) 242-1370 - The Suniland Plaza Starbucks offers free WiFi in addition to coffee, espresso and other hot and cold drinks. 11531 SW 88th St, (305) 273-7771 - Joffrey's Coffee Co is a free wifi coffeeshop / cafe located in Miami FL. 1201 Washington Ave, (305) 604-0479 - 1201 Washington Ave Starbucks now provides customers with free wi-fi in addition to the normal coffee and espresso served up daily. 12512 SW 120th St, (305) 235-5552 - The SW 120th St & SW 127th Ave Starbucks offers drip brewed coffee, espresso and other drinks and snacks and is also a free WiFi hotspot. 13725 SW 152nd St, (305) 971-5659 - SW 152nd St & SW 137th Ave Starbucks now provides customers with free wi-fi in addition to the normal coffee and espresso served up daily. 13746 SW 56th St, (305) 387-5079 - The Miller Dr & SW 137th Ave Starbucks offers drip brewed coffee, espresso and other drinks and snacks and is also a free WiFi hotspot. 14200 SW 8th St, (305) 221-5370 - The 8th St & 142nd Ave Starbucks offers free WiFi in addition to coffee, espresso and other hot and cold drinks. 14401 SW 42nd St, (305) 559-1439 - The Bird Rd & 144th Ave Starbucks offers free WiFi in addition to coffee, espresso and other hot and cold drinks. 14795 S Dixie Hwy, (305) 971-3885 - The 14795 S. Dixie Hwy. Starbucks offers free WiFi in addition to coffee, espresso and other hot and cold drinks. 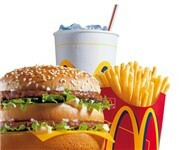 1657 Michigan Ave, (305) 538-8448 - IceBox Cafe is a free wifi coffeeshop / cafe located in Miami FL. 17100 Collins Ave, (305) 940-8812 - The RK Centre North Starbucks offers drip brewed coffee, espresso and other drinks and snacks and is also a free WiFi hotspot. 17760 NW 57th Ave, (305) 826-0585 - The Red Rd & NW 176th St Starbucks offers drip brewed coffee, espresso and other drinks and snacks and is also a free WiFi hotspot. 20525 Old Cutler Rd, (305) 256-0635 - The Old Cutler Rd & SW 92nd Ave Starbucks offers free WiFi in addition to coffee, espresso and other hot and cold drinks. 2645 SW 22nd St, (305) 856-4304 - The 2645 SW 22nd St Starbucks offers free WiFi in addition to coffee, espresso and other hot and cold drinks. 2937 Biscayne Blvd, (305) 573-0727 - The Biscayne Blvd & 30th Starbucks offers free WiFi in addition to coffee, espresso and other hot and cold drinks. 3008 Grand Ave, (305) 442-1851 - The Coconut Grove Starbucks offers drip brewed coffee, espresso and other drinks and snacks and is also a free WiFi hotspot. 3117 Commodore Plz, (305) 569-0009 - Zoom Juice is a free wifi coffeeshop / cafe located in Miami FL. 11401 NW 12th St, (305) 597-8866 - Borders Books, provided by Verizon offers free Wifi access with no password or access fee. 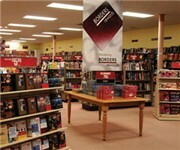 1640 NW 42nd St, (305) 871-2975 - Borders Books, provided by Verizon offers free Wifi access with no password or access fee. 18711 Biscayne Blvd, (305) 935-9770 - Barnes & Noble is the nation's top bookseller. 3399 Virginia St, (305) 443-2855 - The Bookstore in the Grove is a free wifi bookstore located in Miami FL. There are plenty more free wifi hotspots in Miami. See all free wifi hotspots in Miami Florida.